It’s not the most fun part of having dogs, but it is essential to their care: de-matting fur. You want your dog to feel their best, and there’s no reason that can’t mean they also look their best. 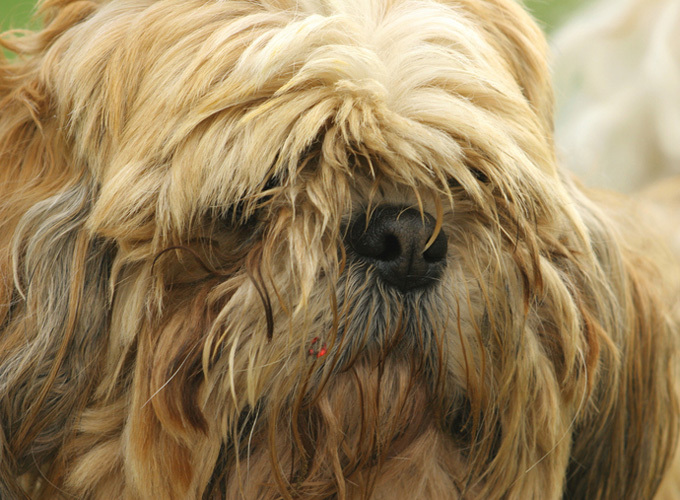 Truthfully, matted fur, when left unattended, can actually become painful for dogs. It pulls at the skin. So making sure your pup’s coat stays healthy and untangled is as good for you as it is for her or him. Not every dog may require the same techniques though, and you may need to get especially clever if your dog isn’t a fan of grooming. Here we have some basic tips for de-matting your dog’s coat. This is a great tutorial because it shows you using a few sets of tools to work out some pretty hefty mats. Now we probably don’t all have the well-behaved pup that’s seen here, but the idea remains the same. Here we have someone everyone should know: Jun the Groomer. Jun has some handy and well-known tools that all heavy coated dog owners should be familiar with. Jun actually uses a “Furminator” in this video too – which are awesome dog combs for any breed! You’ll be paying a good price for one though. We’ve covered the basics for getting mats out of your dog’s fur. Now, let’s tackle a slightly more problematic area for dogs: behind the ears. If you watched the Jun the Groomer video, you’ve noted that there are sensitive areas too tender to de-mat. Under the “arm pit” is one such place, but so is behind a dog’s ears. In the video above, Rodrigo “The Dog Man” shows you the best way to get rid of mats on your dog’s ears. Remember to always make sure your dog will stay still for something like this, as a rambunctious pup runs the risk of getting hurt with something like this. If you’re uncomfortable with any or all of these things, taking your vet to a nearby groomer is probably the safest bet. Coat care is imperative for a dog’s good health, so don’t skimp on the quality. Also make sure to read reviews on groomers before you take your pup. There have been unfortunate cases of abuse and even death when dogs are not properly taken care of in the hands of a careless or untrained groomer.